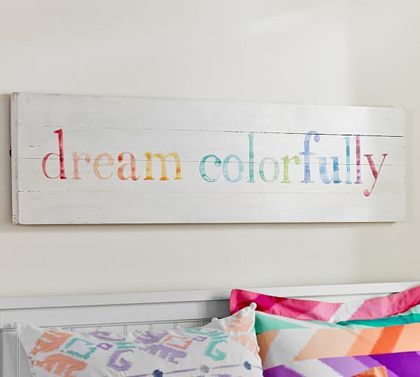 Create the perfect dreamscape with this colorful wall Dream Colorfully Planked Art. Words of inspiration are set on a plank of wood for rustic charm. $99. Buy here.